I have been wanting one of these for about 3 years, so I can only say it had alot of expectaions to live up to. Believe it or not it met them all!! This little guy sounds incredible. Ok, there are four separate sections : Melody, Chord Bass & Rhythm. Each section is controlled by its own MIDI channel has its own volume slider and can have it's velocity sensitivitly set separately as well. The Melody section has a polyphony of 2 and has a selection of 100 preset sounds (although I did think silence was a bit of a rip-off!). The Chord section has a polyphony of 4 but cannot use the noise source so only can use about 95 sounds. These 2 sections can be combined to create a 6 note section (still no noise source). 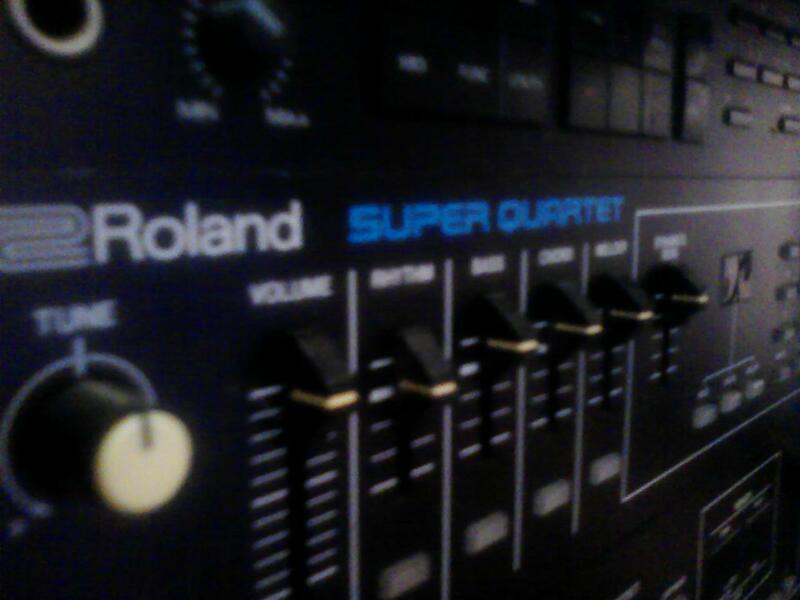 The Bass section is monophonic and has aselection of 20 bass sounds. All are vevlocity sensitive. 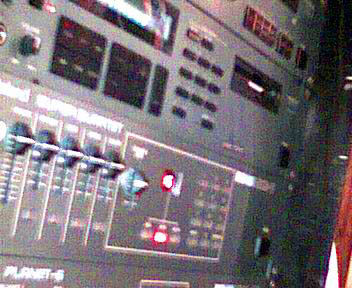 The Rhythm section has 11 PCM samples that are typical of the time. Now for the few bad things. There is no memory so you cannot store patches and the MIDI channels will always power up at their default values. There is no MIDI out (not really a big deal). There is the limitation of polyphony. And also the sounds are presets, but it can be sent SYSEX! 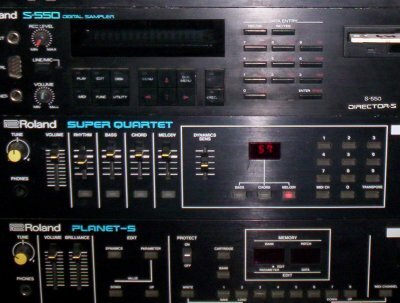 You can send sounds via a sequencer or the juno 106 which is what this unit is based on. The 3 synth secions can also be programmed through an arcane set of button pushes. I have already sequenced a few songs with just this unit! cosmeticaly The melody slider is a bit bent, there are a few scratches on the front. 2012:Set up and in the rack. 2008: I at the moment have it set up in my dining room! I am gearing up for a live Beker show, and am practicing as much as possible. All the drums come from this unit!